Lead is a potent neurotoxin that is commonly present in our environment and can have serious cognitive and behavioral impacts, particularly in children. 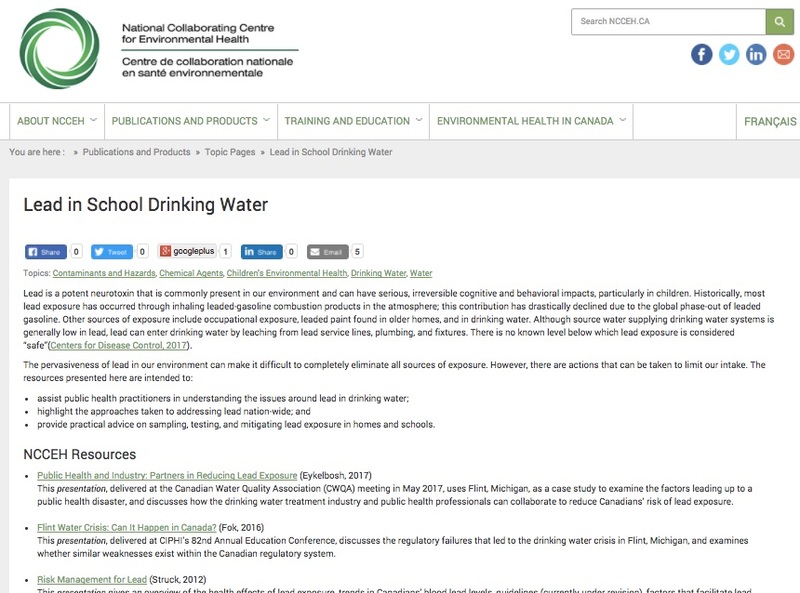 The resources listed on this new NCCEH topic page are intended to assist public health practitioners in understanding the issues around lead in drinking water, highlight the approaches taken to addressing lead, and provide practical advice on testing and mitigating lead exposure in homes and schools. To view this new topic page, click here.